Traditional newspapers may be going out of business….but newsalogs are getting an incredible response. A newsalog looks like a newspaper. It feels like a newspaper. But it’s actually a marketing piece in disguise. A newsalog sells your product or service through a newspaper-style format – and it gets a 20-30% increase in response. When used as a part of a multichannel, integrated campaign, it’s powerful. Watch this 2-minute video to discover how you can use a newsalog to boost response – and sales. 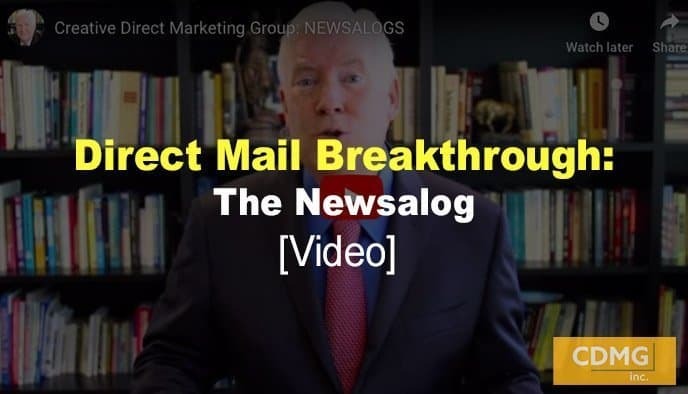 I’ve sent over 1 billion direct mail pieces – and have innovated direct mail formats like the newsalog to help my clients succeed. Give me a call at (310)212-5727 or email Caleb at caleb@cdmginc.com.